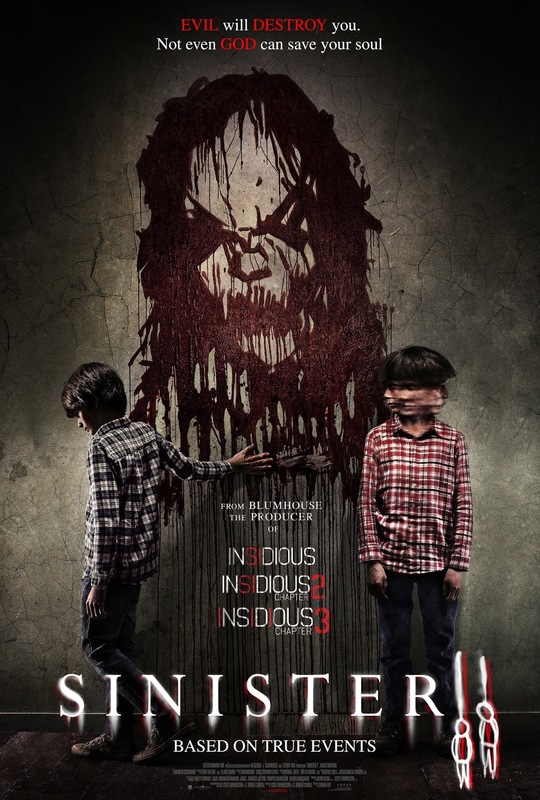 In “Sinister 2,” 9-year-old twins Dylan and Zach Collins (portrayed by real-life brothers Robert and Dartanian Sloan) have been spirited away by their mother Courtney (Shannyn Sossamon of Wayward Pines) to a rural house in Illinois. The home and property are just isolated enough to evade Courtney’s estranged husband Clint (Lea Coco), who has abused her and Dylan. This protective mother is unaware that the house itself is marked for death but Ex-Deputy So & So (James Ransone, reprising his Sinister role), now a private investigator, has deduced that the family’s hideout is the next manifestation spot for Bughuul. Determined to avenge the tragedy he was privy to while on the police force, So & So journeys to the rural residence, intending to burn it to the ground and thereby end Bughuul’s chain of death. Finding Courtney and the twins there, he realizes that they are in danger from Clint and that he must step in to help them before he can implement a plan of attack against Bughuul.